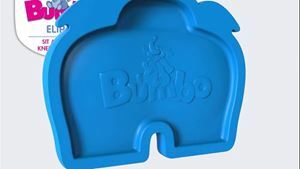 BUMBO ELIPAD,Bumbo Elipad allows your toddler to sit anywhere and for you to kneel anywhere! The Elipad is a soft comfortable seat for your toddler's bottom to sit anywhere. It can even be used by moms to kneel anywhere while playing with your child or giving them a bubble bath.